Building Our House of Grey and White: Bricking, Cornices and a Missing Kitchen? Last week saw our bricking being finished off. We only have a small amount of the house to be bricked. Hate how it is looking right now as because it is being rendered they are using some cream bricks with grey mortar and it it looks pretty ordinary. Hard to get past it visually. Also not sure how much I love the parapet over the garage but I guess it's going to have to grow on me, should look better once rendered and painted. As I mentioned in another post we have to have a rendered strip running around the perimeter of the house under our weatherboards due to the glass termite barrier (not our choice) but we got them to at least lower the height of this. Now that that row of bricks is done hubby checked measurements and noticed they had done a row too high, a call to the ss and he let us know that he had already noticed and had the brickie booked to head on back to fix it up. Happy he is on the ball but also pretty pleased with my hubby that he picks these things up. Our tiles and weatherboard has been delivered and the weatherboard is due to start this week I think. 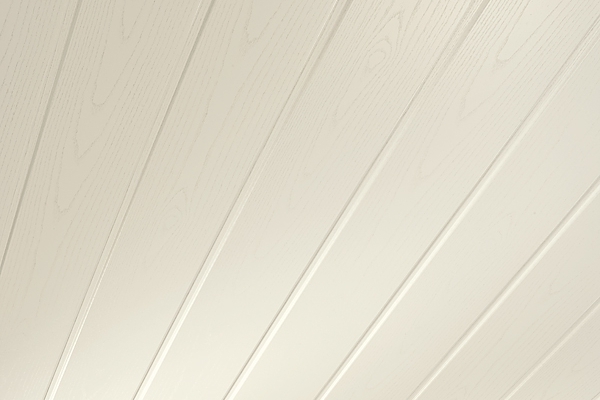 Just looove weatherboard but I am wondering it it will look odd on our gableless (is that even a word?) house, joys of building a project house and not sticking with standard brick or render means you have no idea how good or stupid it will look. I have been stressing about my kitchen and have actually not been looking forward to it going in, I know that's weird but not being able to talk to kitchen company and relying on emails and pictures to convey what we want adds to my stress and also no detailed kitchen drawings. So I admit I felt a little relief to hear that our kitchen will be delayed due to a headoffice stuff up. It seems that a variation we made a few weeks ago to the kitchen and bathrooms created a mix up and our kitchen was not ordered. So instead of us getting our kitchen before Christmas shutdown it will now be installed after. I guess at least we won't have the worry of our kitchen sitting there over the Christmas break but this has now delayed other things like tiling, which was also due to be done before Christmas. Like I said in another post each new stage brings with it issues big or small and I am glad I realise this now and I am learning to not stress and just roll with it. In other news we swapped our 75mm cornice for the Sydney Cove 90mm and we are so glad we did as it looks gorgeous. My hubby is especially taken with it. Architraves and doors have started to be done and the Chippie will be busy at our house until Christmas. So what does everyone think, blessing in disguise kitchen is delayed til after Christmas break or better to have had it in with less delays regardless of Christmas break? Bricking is nearly done now can't wait til it is rendered. we are having it lined? I think you'll always be able to look back and be glad that things happened a certain way, maybe you just can't see it yet, but I'm sure there will be some benefits to not having the kitchen done straight away. Those cornices like absolutely amazing. I bet they'll be one of those things you sit there admiring, bit of a colorbond moment type thing! The house is coming together beautifully. The entry ceiling is going to be something special that's for sure! Can't wait to see more Tash! Thanks Lauren, yeah looking at those cornices the way my husband has been does look just like those colorbond ads now you mention it. We were told by ss that if kitchen is not in by the 15th of January he will start the tiling and painting with out so it doesn't delay too much and we also got a message today from kitchen guy that they recieved the order today but hubby still thinks it will be after Christmas. Hi Tash, I'm in love with your cornices and the internal doors. Can't wait to see your kitchen. Thanks Abigail, I'm feeling very nervous about my kitchen as M do not allow you to talk directly to the kitchen company and really we have had no detailed drawings to date. I'm just hoping it all comes together and I will do a post soon detailing my selection. I don't think it matters if installed pre or post Christmas...as long as it doesn't delay hand over further down the track if that's an issue for you.